Home » All Posts » Tea Ceremony Experience; Enjoy the Fall in Japan which is both beautiful and delicious. Tea Ceremony Experience; Enjoy the Fall in Japan which is both beautiful and delicious. 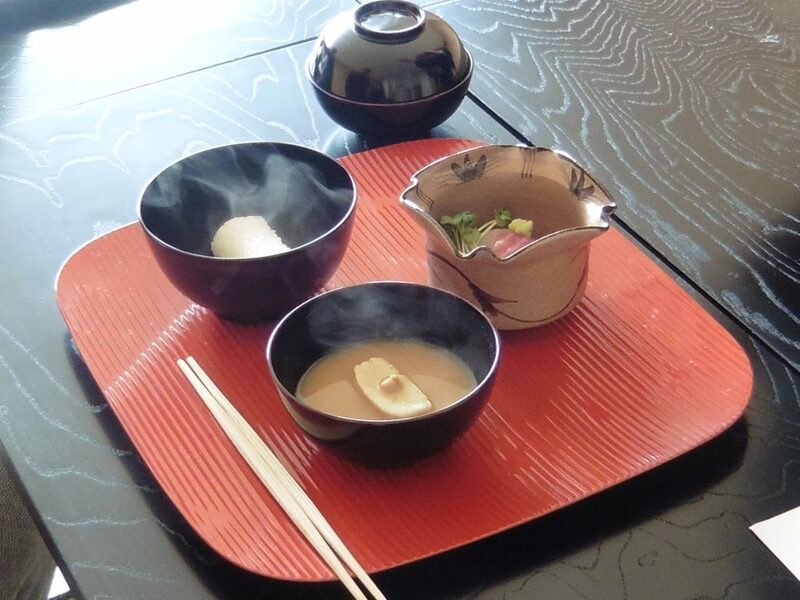 This workshop offers an authentic Japanese kaiseki meal followed by tea ceremony, a representation of Japanese culture. 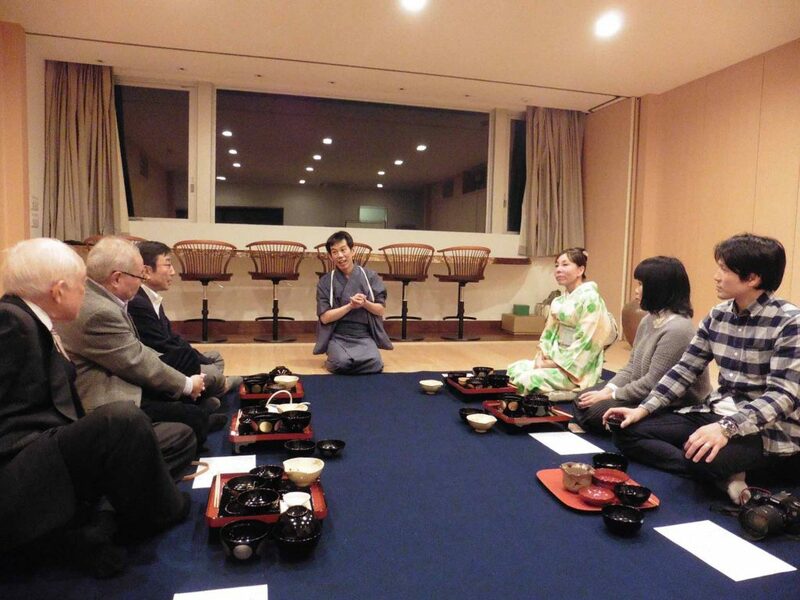 In this workshop, guests are served “Cha-kaiseki” a formal Japanese coursed meal prior to the tea ceremony. By choosing the appropriate ingredients and the cooking method, hosts prepare the guests for the intense tea later. The main dish of the course is “Nimono-wan”, a simmered dish. A refined dish which illustrates the season in a beautiful bowl. 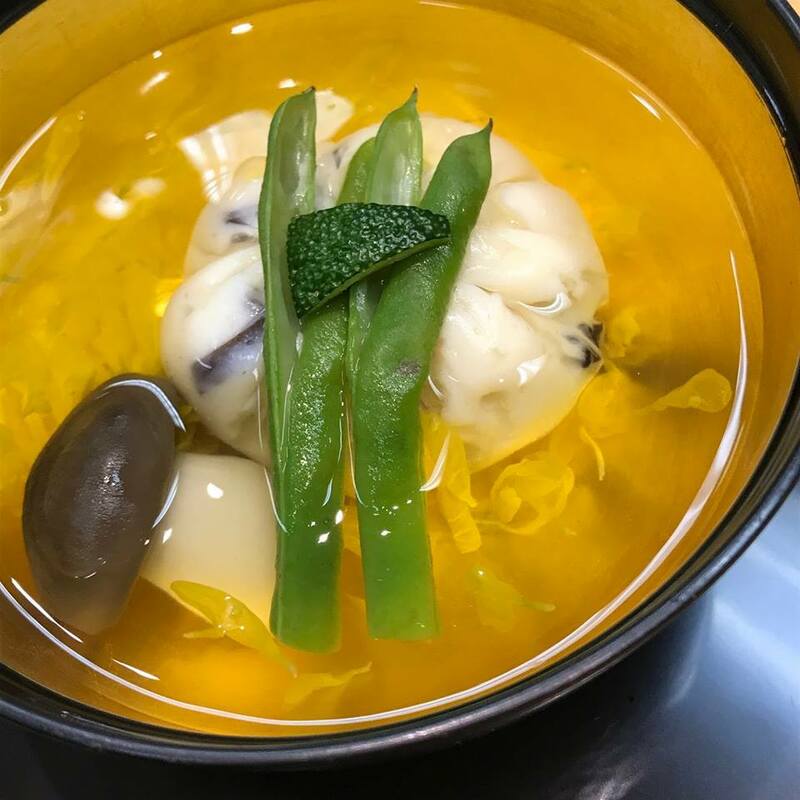 The broth is subtly flavored to enhance the flavor of the main ingredients and warms your stomach. The most popular “Nimono-wan” of the season is called “Hagi-shinjo”. 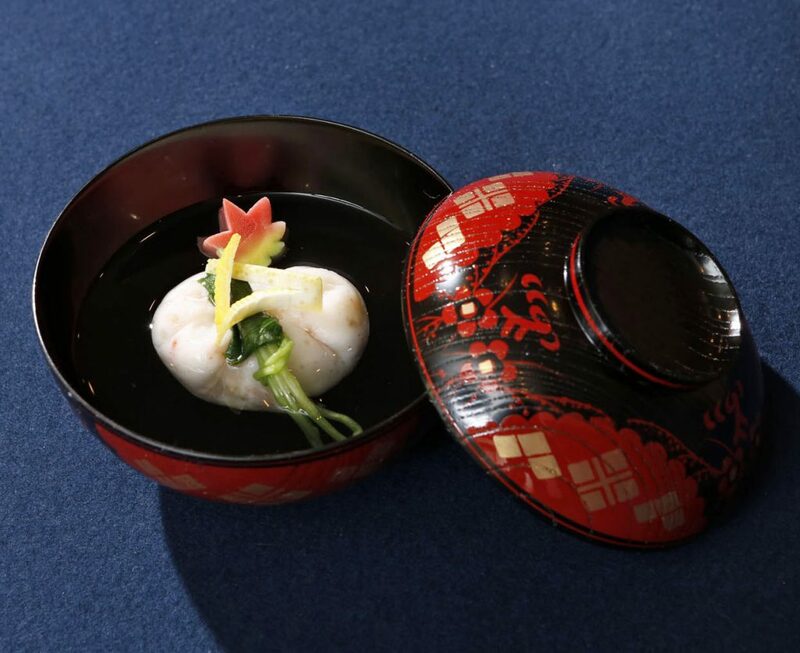 It is made with a fish and shrimp dumpling with red, green and brown vegetables so that it resembles “hagi”flower or Japanese clover. Hagi has been a symbol of the Fall since ancient Japan. Amazingly, the most popular flower read in the poems in “Manyo-shu”, an anthology of ancient Japanese poems, is Hagi, not cherry blossoms or plum blossoms as one would imagine. Hagi flower is also mentioned in “Tales of Genji” as well as in its “emaki”, the picture scroll depicting the subject of the “Tales of Genji”, the world’s first novel. In “Cha-kaiseki”, it must not only taste good and look beautiful, but the ingredients must represent the season and tell a story. It may spark further conversation between the guests and the host. This concept of hospitality extends to the set up of the tea house, incense, and further throughout. The experience at the tearoom is different for each guest. Hosts prepare each occassion considering each guest. 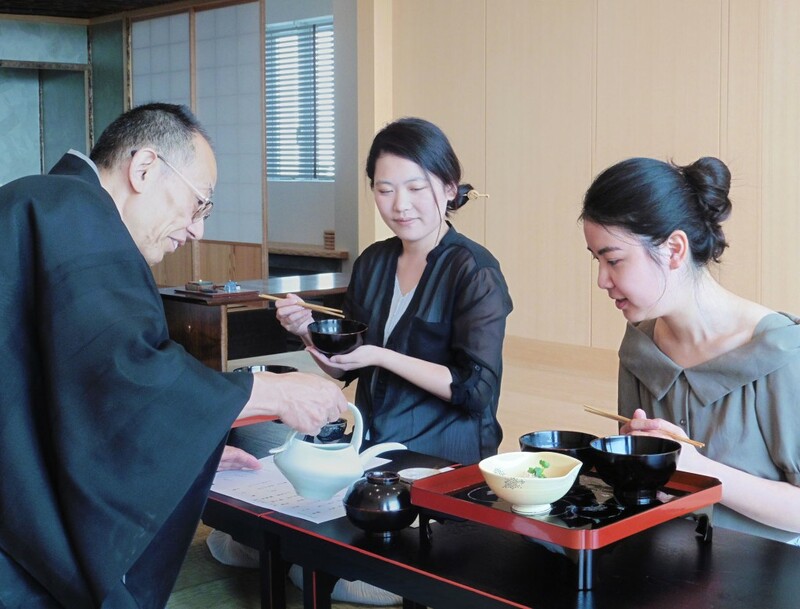 Mat-Cha-Doh offers a plan where guests can enjoy the formal “cha-kaiseki” and tea ceremony to enjoy matcha at the same time.